After an extensive year-long search with interviews and application reviews, KSD’s new superintendent was announced. Dr. Jeff Arnett will be taking the place of current interim superintendent Michele Condon who served for one year. Arnett will hold his position as KSD superintendent beginning July 1. 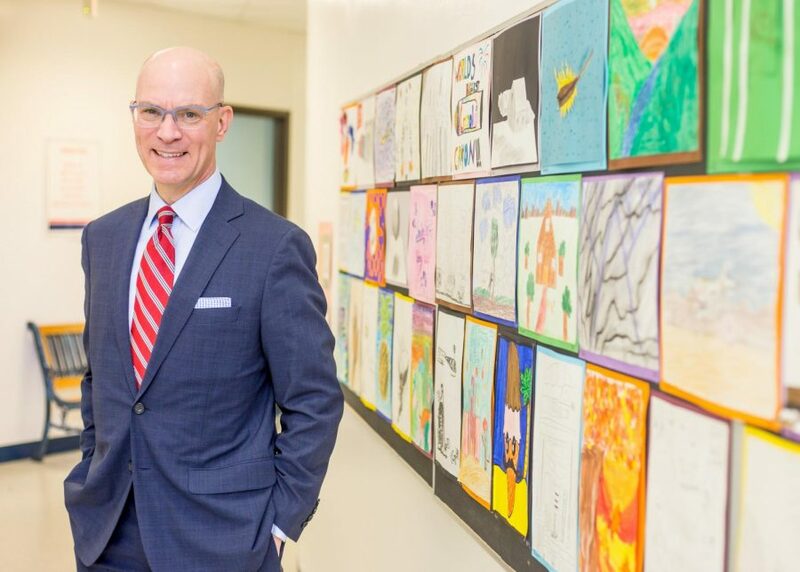 Growing up in St. Louis, Arnett’s past careers range from St. Louis area schools, an administrative position in the National Baseball Hall of Fame, school district administrator in northern Chicago and most recently as deputy superintendent in Austin, Texas. As he transitions to Kirkwood, TKC decided to better get to know Arnett by asking him the following questions. TKC: What made you want to come back to St. Louis? TKC: Are there any changes that you wish to make to KSD? TKC: How would you describe your leadership style? For more information on Arnett’s background and the search process, read Megan Cleveland’s piece “A concluded search: Welcome Dr. Jeff Arnett”.